Who would have thought that a former Polytechnic University of the Philippines (PUP) student who hacked his school’s system in the past would end up in Forbes’ 30 Under 30 list? 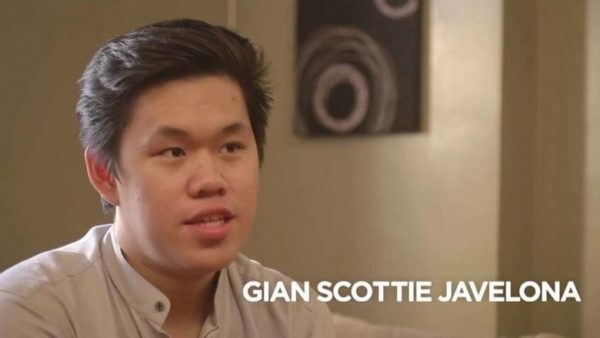 Gian Scottie Javelona, owner of tech firm Orange Apps, didn’t actually hack the system to take advantage of it. In his interview with GMA News, Javelona revealed how the incident inspired him to launch an app that provides school information systems and data analytics. “I didn’t really hack like delete my grade or something. I just accessed or created a better front-end, para mas mabilis ma-access ng users ‘yung app, rather than ‘dun sa web kasi ang bagal,” Javelona shared. Initially, Javelona’s teachers got mad at him, but after explaining his side to his teachers as well as the president of the school, he didn’t face sanctions. In fact, the president of the school even called for a meeting to ask him some question. During the meeting, he revealed his plans to sell his product to different schools. Since high school, Javelona has been interested in basic programming. Because he needed to make money during college, the young entrepreneur used his interest to do business. When he saw the need for a software that will make life for fellow students less complicated and more convenient, Javelona stepped up and established Orange Apps. “What we’re doing is instead of the school worrying about subscribing to different softwares, ang nangyayari now is they’ll just subscribe to us. And once they subscribe to us, everything that the school needs will be provided,” Javelona said. Currently, schools like Manila Waldorf School, USST Colleges, School of St. Mark as well as World Citi Colleges subscribe to OrangeApps. Now that they’re starting to pilot a school in Indonesia, he also intends to target schools in emerging countries like Brunei, Vietnam and South Africa. Aside from solving problems of education, Javelona plans to expand to other industries like healthcare. Being listed on Forbes 30 Under 30 list gave Javelona optimism about the future of his business. It gave his company credibility, value as well as worth to the customers.